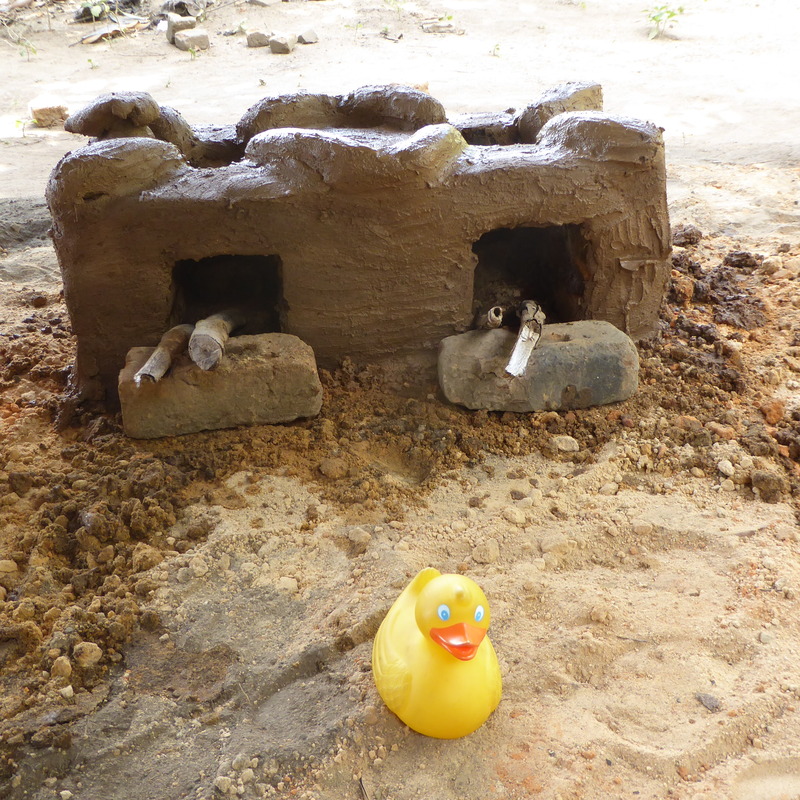 I, Zeb the Duck and the human volunteers are going to a village to build stoves. In Malawi, the women gather wood to burn. There is usually no electricity, so the cooking is done on wood burning stoves. 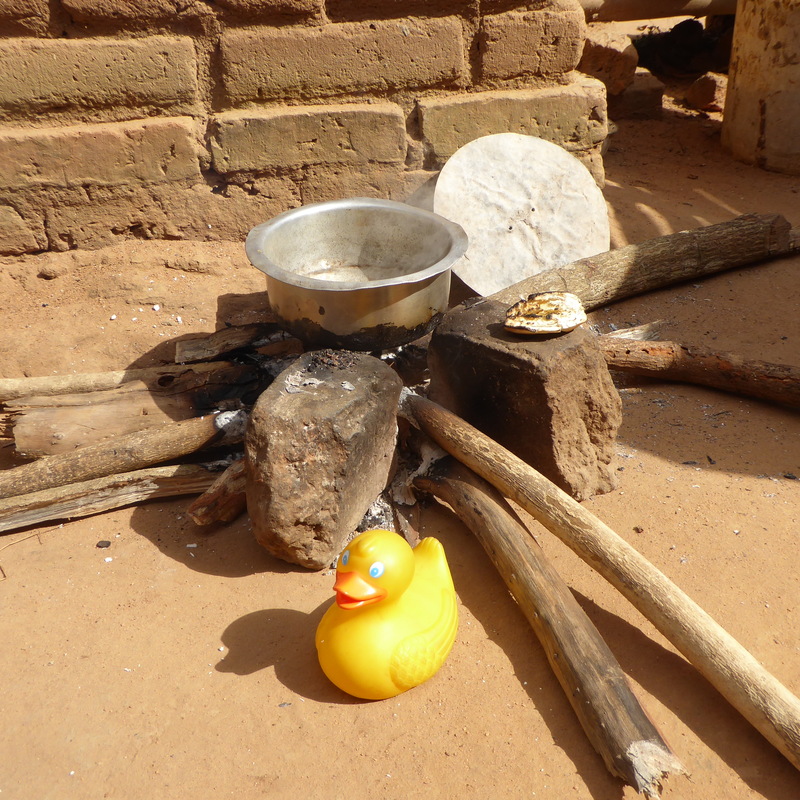 This is the three stone stove the women were using to cook. The new stove, the changu changu moto, uses about one third the amount of wood. Saving wood is important, and the time it takes women to gather wood is also reduced. 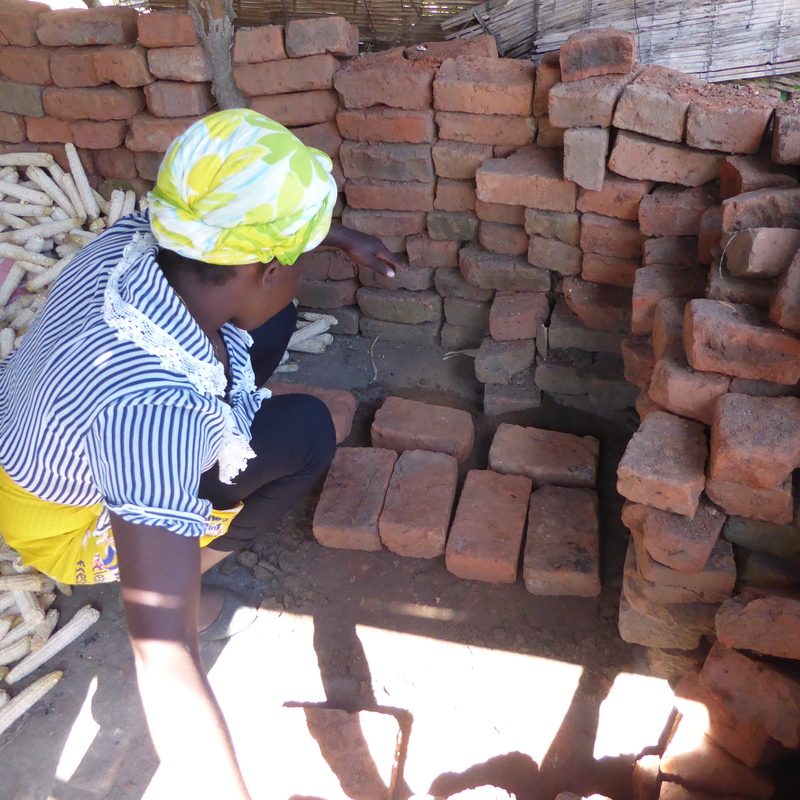 This lady is getting the bricks ready to build the stove. The changu changu moto is three bricks tall with two burners. 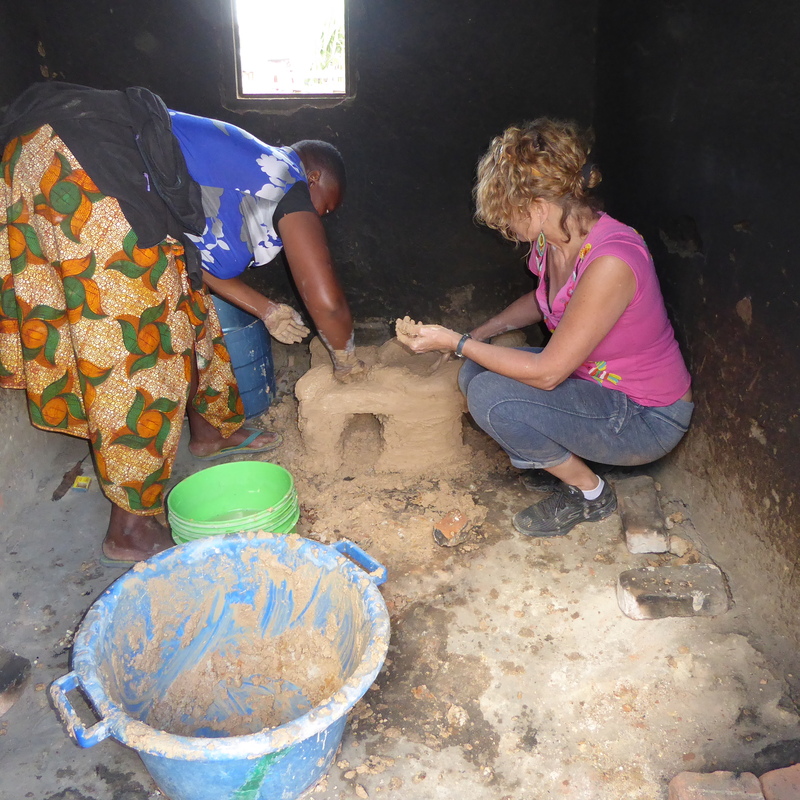 The last layer of mud, often called plaster, is being applied to a new stove. The stove must dry for about a week before it is ready to use. The women also put the pot rests on the stove. This enables the pots to cook more evenly as there is air between the fire and the pot. This lady is cooking on her new stove. The stoves and cooking area are usually in a separate structure, a short distance from the main house. We visited two different villages to help build the changu changu moto stoves. 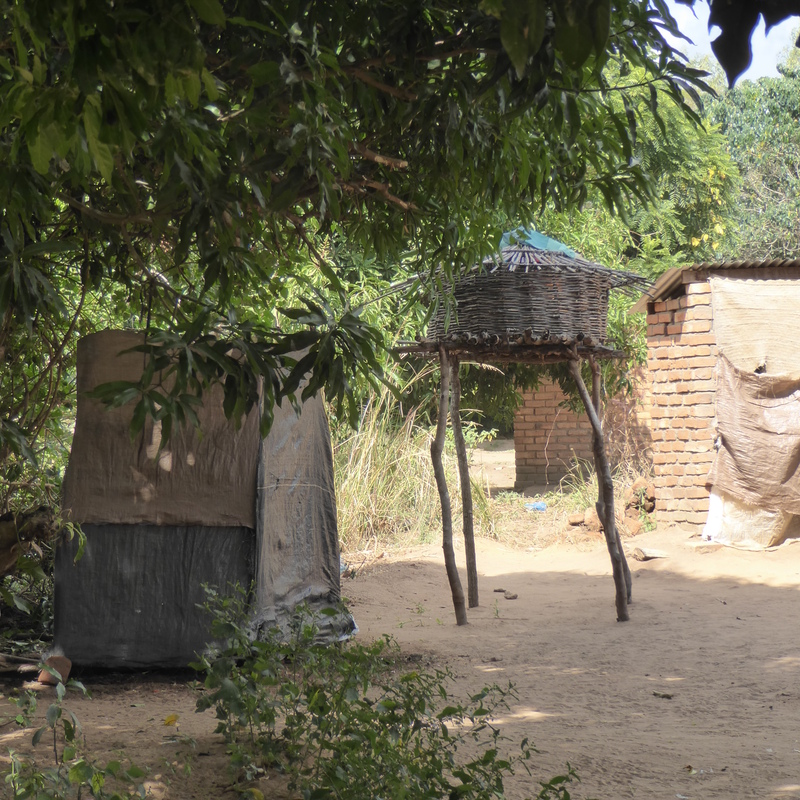 This is a typical back yard in the village. The chickens are kept for their eggs; some to hatch and some to be eaten by humans. 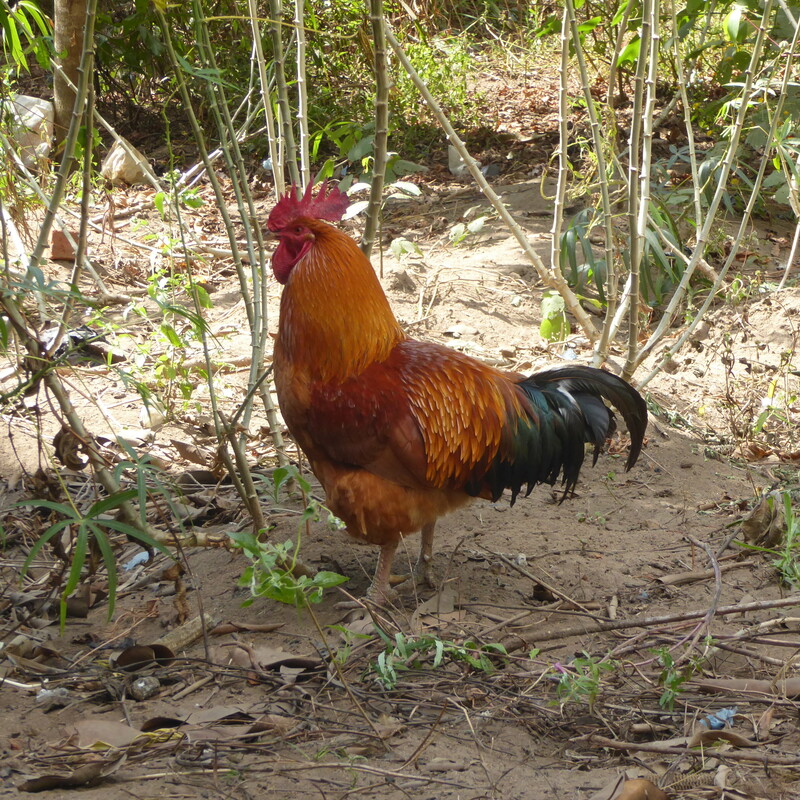 When the chicken is older and not producing many eggs, the chicken is also eaten. 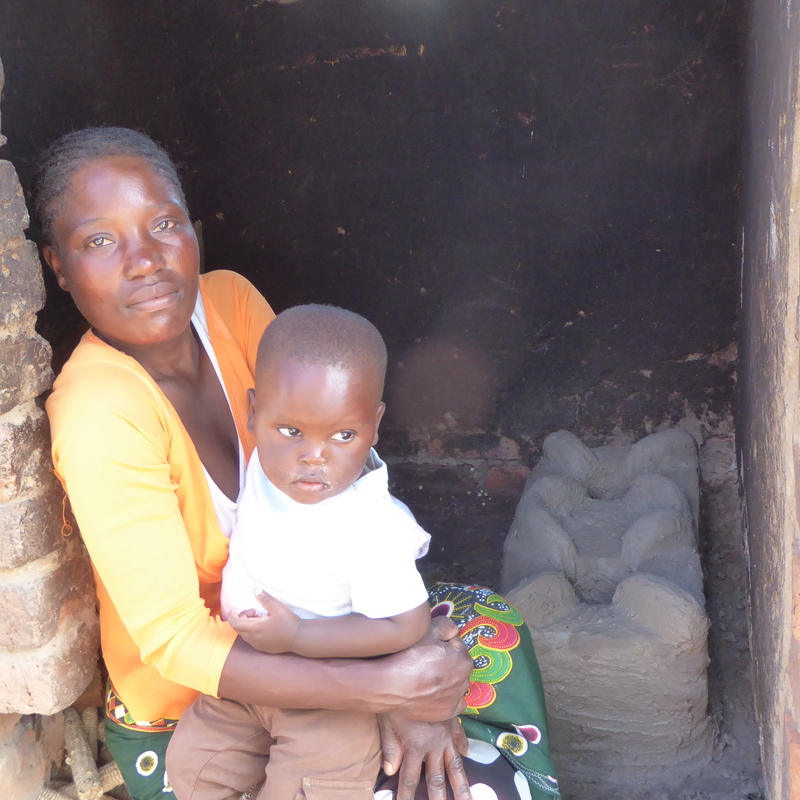 This lady, holding her baby, is very happy to have a new changu changu moto stove. The five other human women all live near Washington D.C. and belong to a group called Dining for Women. Dining for Women raises money for projects that help women and girls around the world. It was through this organization that the other volunteers learned about the changu changu moto stoves. These women decided to volunteer with Ripple Africa in Malawi, Africa. Mom and I, Zeb the Duck, learned of their plans and we joined their volunteer group. 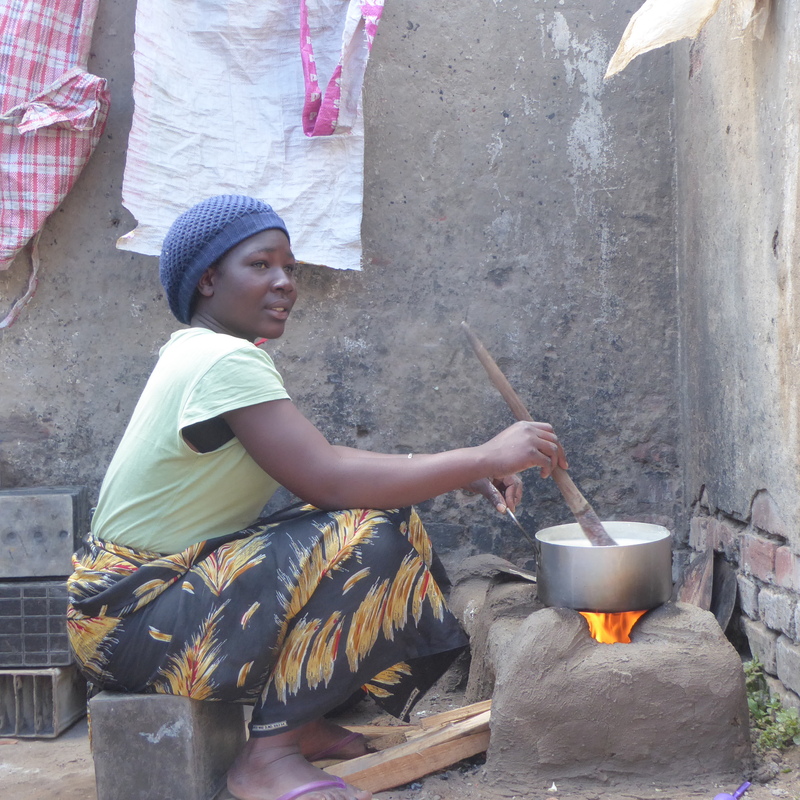 For more information about Dining for Women, visit http://www.DiningForWomen.org We all agree that these stoves are a great help to the women of Malawi. This entry was posted in Africa, Malawi, Uncategorized and tagged 3 stone stove, Africa, changu changu moto stoves, Colorado Traveling Ducks, Dining for Women, Malawi. Bookmark the permalink. ← Zeb the Duck Visits a Fishing Village then Lunch at Ngala Beach Resort. The location was beautiful and the people so friendly and cheerful, even with all the hardships and hard work they endure. An enlightening experience for us.